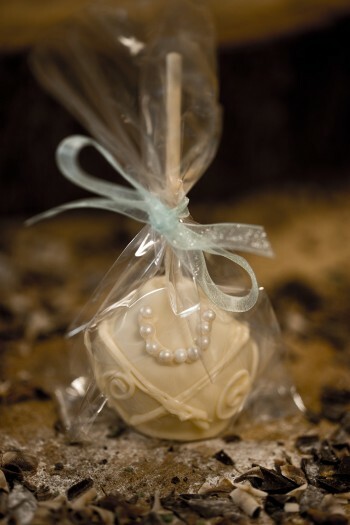 These cake pops, decorated using white and dark chocolate, designed to look like a bride and groom make fun and delicious wedding favours! Cake truffles made from chocolate cake and delicious buttercream and ganache; a chocoholics dream! Individually wrapped in cellophane bags with ivory ribbon. We can change the colour of the ribbon if unsuitable- please contact us.